Bob Moore Subaruin Oklahoma City treats the needs of each individual customer with paramount concern. We know that you have high expectations, and as anew and used Subarucar dealer, we enjoy the challenge of meeting and exceeding those standards each and every time. Allow us to demonstrate our commitment to excellence and, even more importantly, our commitment to you! Visit us today. 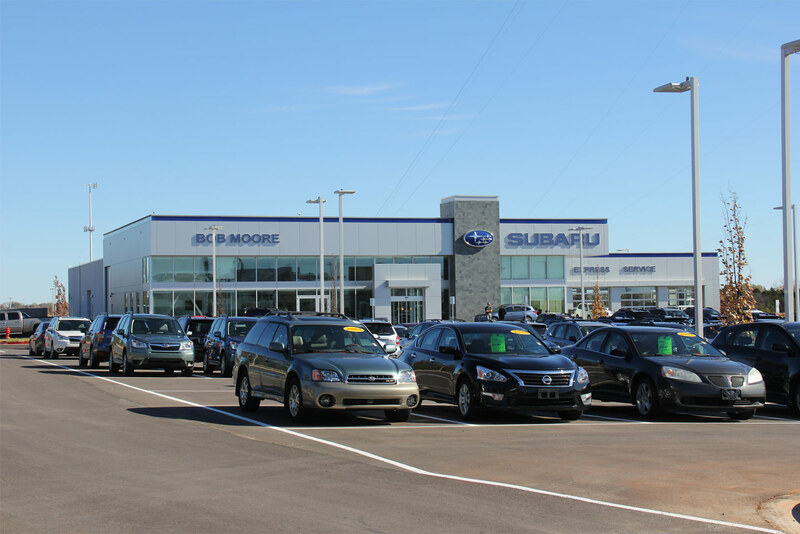 Just south of Edmond, OK, in Oklahoma City, at the heart of the greater OKC metro area, Bob Moore Subaru will give you the best value and customer experience in the state! Visit us for a new 2019 Subaru in Oklahoma City! We carry all the latest models, and our expert sales staff will help you find the car or SUV you've always wanted. Bob Moore Subaru is your source for AWD supremacy. From the acclaimed Subaru Forester to the award-winning Subaru Outback, we have the category fairly well-covered. Not to be out shined, we have the Subaru Legacy and our most well-known version of the Subaru Impreza: the rally-bred Subaru Impreza WRX. Last but not least, we are proud to have the highly awarded and brand new 2019 Subaru Ascent, Subaru BRZ and Subaru Crosstrek. Hurry in for a test drive! Bob Moore Subaru's used vehicles are carefully inspected by our technicians to guarantee quality for our Oklahoma City customers. We continually renew our used car inventory. Visit our inventory page to browse through the Oklahoma City used cars and Certified Pre-Owned Subaru models we currently have in stock. If you see something you like, give us a call or visit us today. It can be difficult to find a car loan with a low payment or a short-term loan that allows you to pay off your vehicle in only a few years. Here at Bob Moore Subaru, we make this process easy and efficient for our customers. Our experts will help come up with a loan program that is made just for you. We will help ensure that you are comfortable with your payments. So, for an auto loan in the Oklahoma City area, visit Bob Moore Subaru and we'll figure out a finance plan that is tailored just for you! When you are in need of Subaru service in Oklahoma City, Bob Moore Subaru is the place to go. We offer a wide range of auto repair and auto services for the Oklahoma City area. Our staff of highly trained auto mechanics is ready to take care of your Subaru today. We will repair your vehicle quickly and correctly. We also have a large auto parts department in Oklahoma City to get you what you need. Dress up your vehicle with auto accessories from our Oklahoma City service center too. Feel free to contact Bob Moore Subaru today if you have any questions or if you'd like to schedule a test drive. Our text us option makes it even easier for you to get in touch with us. We look forward to meeting you soon and serving you for many years to come!